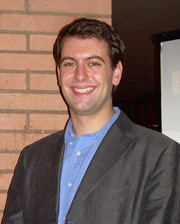 Zach Gassoumis, PhD, is a Research Associate at the USC Davis School of Gerontology. He has been involved in the Latinos & Economic Security research group since 2006. Zach’s research in general focuses on various aspects of quality of life for older adults, with specific concentration on the application of quantitative methodologies to large, population-based datasets. His primary area of research surrounds the financial security of racial/ethnic minority and immigrant populations, with an emphasis on naturalization and the Latino baby boomer generational cohort. Zach does additional work in the area of elder abuse, with emphases including etiology, lifecourse patterns, and outcomes. He also participates in and advises on projects including: predicting transitions from nursing facilities to the community; developing an HCBS assessment tool for use within the Medi-Cal program; assessing the impact of end-of-life care across healthcare settings; characterizing injuries among older adults and reported victims of elder abuse; and evaluating an elder abuse intervention, the elder abuse forensic center model. While pursuing his PhD, Zach was a recipient of a doctoral dissertation fellowship from the Center for Retirement Research at Boston College and a one-year pre-doctoral fellowship at the USC Edward R. Roybal Institute on Aging. He earned his BSc in Natural Sciences (Psychology & Anthropology) from the University of Durham (England).